Nursing and nightshift are a professional pair widely accepted by the health community, but there are nursing careers that don’t subject nurses to the difficulties of working through the night. However, these positions are often limited, competitive and usually reserved for experienced nurses. So, if you love nursing but loathe night shift, what are the options? There appears to be two –deal with the night shift by following important self-care strategies or find a career in nursing that allows you to work daylight hours. Former Neonatal Special Care Nurse, Deb Herdman, worked the night shift for four years before the sleepless nights and exhaustion became too much. Ms Herdman said her circadian rhythm was so out of whack she needed to rethink her career options. “At the end of the day, it’s natural to feel like you should be winding down, not having to fight against this and psyche yourself up for the night shift. This was particularly stressful for me, as I have never coped well with lack of sleep. After the birth of her son, Ms Herdman said night shift became increasingly detrimental to her physical and mental wellbeing and robbed her of quality time with her young family. “I began nightshift, as many nurses do, with a young child. He wasn't a good sleeper as an infant and then became a toddler that could take hours to settle. This was difficult when on night duty as he refused to settle with his dad and I felt the need to rest and have some me time, before beginning night duty. “On the nights when I wasn’t working, I longed to go to bed, so I felt anxious that he wasn’t keen on sleeping. It wasn’t for lack of trying, said Ms Herdman, as sleep didn’t come easily despite using sleep aides such as blackout blinds, earplugs and eyeshades. “I only ever slept five to six hours. It was exhausting! Like most night shift workers, it’s the adrenaline and cortisol rush that prepare you for the arduous task of nightshift. It was during her time as a neonatal nurse that Ms Herdman felt the impact of working nights most, as working with newborns necessitates an alert mental state. “Although most shifts were routine care, it was challenging and stressful when emergency care was required. I particularly hated the two to three o’clock in the morning time when you were willing your mind and body to keep awake, concentrate and stay focused. Losing weight after pregnancy was also challenging due to the physiological impact of working night shift, said Ms Herdman, and a diagnosis of hypothyroid only exacerbated the situation. “I didn’t eat a lot on the shift, but I found I was eating a lot before. I thought my body was trying to give me energy, but it was a hormonal imbalance. “Leptin and ghrelin are hormones produced when we sleep and control appetite and hunger. Without these hormones being regulated, satiety cues are missed causing an absence of feeling full and feeling hungry. 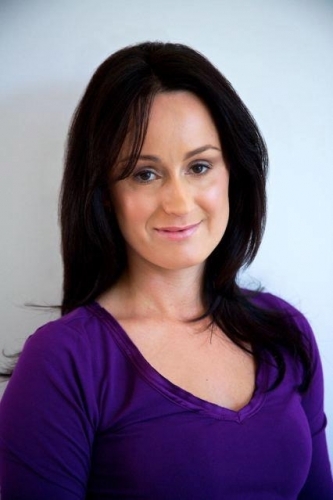 It was the struggle with night shift and an unsettled baby that led Ms Herdman to start her own business, Nigh’ Nigh’ Sleepy Head, a music-based behavioural modification system, which was the result of research into why sleep is essential and how night shift affects natural sleep patterns. Lowered immunity, weight gain, diabetes, cardiovascular disease, breast cancer and prostate cancer are just some of the illnesses that a lack of adequate sleep causes, according to Ms Herdman. Brett Holmes, General Secretary of the NSW Nurses and Midwives' Association, said there had been various studies showing night shift increases the risk of serious health conditions, including cardiovascular disease, colorectal disorders, breast cancer, prostate cancer, diabetes and depression. “These issues arise due to a number of factors, such as inadequate exercise and diet, disruption of social lives and sleep deprivation. These are cumulative effects over years of regular rostering onto night duty,” said Mr Holmes. “Emotional health and the high stress and anxiety from lack of sleep was a strong part of my incentive to move away from night shift. “Nothing is more important than your physical and mental health when you have parenting responsibilities,” said Ms Herdman. A nursing career without night shift. The positions least likely to do rotating night duty include Nursing Unit Managers (NUMs), Nurse Educators, Clinical Educators, Clinical Nurse and Midwife Consultants, Community Health Nurses and nurses or midwives undertaking research. However, these jobs are competitive and often require extra qualifications according to Mr Holmes. Ms Herdman said it is possible to work as a nurse without enduring the night shift, and she is proof. “A recent part-time position allowed me to decline night shift in perioperative nursing as part of my contract. Many nurses are taking on management roles in larger hospitals, and these positions offer regular daytime hours, said Ms Herdman. Another option for nurses who want to remain in the profession without night shift duty is community nursing, which is gaining in popularity as general practice and pharmacies are increasingly employing nurse consultants to add value for clients and customers, said Ms Herdman. “Nurses can also negotiate night shift with employers. You may be exempt if you have a medical condition or your hospital may allow you to negotiate non-night duty options." 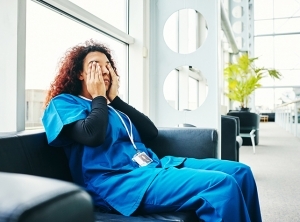 Working night shift is an almost unavoidable part of nursing and midwifery, said Mr Holmes, but many solutions can limit the impact of problems associated with shift work. “Education programs on coping methods to improve diet, exercise and mental wellbeing need to be actively encouraged by management and local health districts. “Breaks while working night shift must be enforced; swapping from night shift to day shift can be a difficult transition, and this needs to be factored into rostering to allow nurses and midwives to recuperate,” said Mr Holmes. “I believe occupational health and safety need to manage expectations around night shift and actively promote healthier options for staff and safer care for patients. “The days of rotating days, evening and nights don't support best health practice or quality care. It’s time work practices changed,” said Ms Herdman. “The current 15 per cent night duty penalty-rate for NSW public hospitals does not fairly compensate nurses and has not changed since 1975. NSW is way behind other states and territories with Tasmania's rate at 25 per cent, and Western Australia at 35 per cent,” said Mr Holmes. If night shift isn't avoidable, it's better to work night shifts in a block, and then switch back to day and evening hours, said Ms Herdman. “Make sure you work out your night duty entitlement pro-rata if you work part-time. You might like to split the required hours into a six or 12-month period. “The worst health options will be working day, evening and nights on frequent rotations. “For me, night shift would never be an option again,” said Ms Herdman.